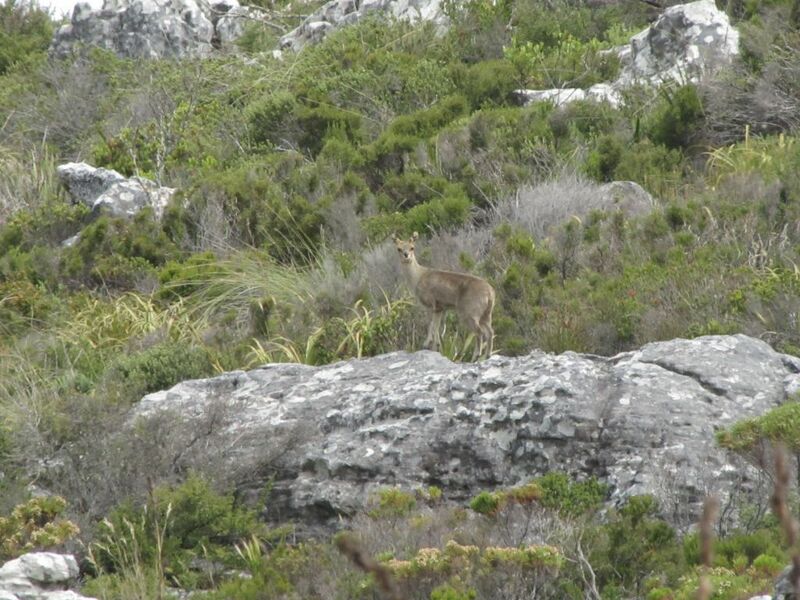 These photos taken by Mariana Delport of Cape Eco Tours, while walking the Table Mountain Trail on 12th November 2010. 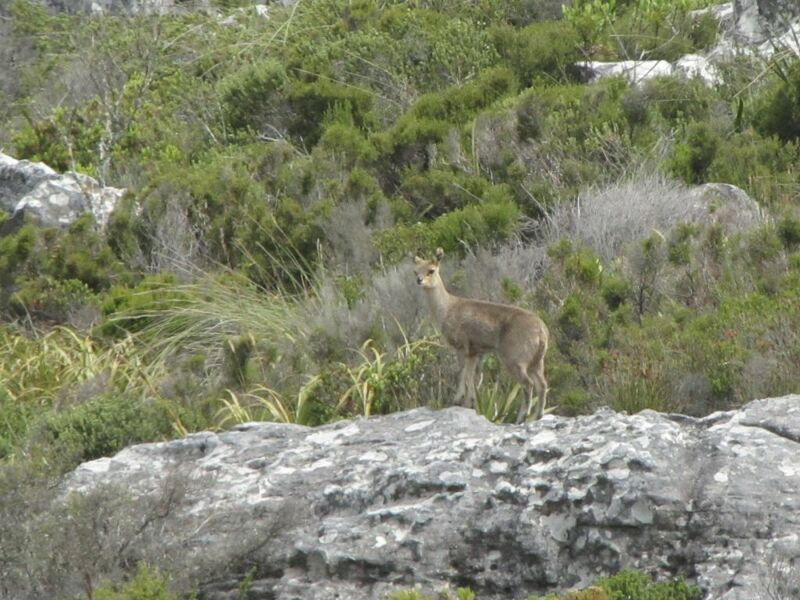 Klipspringer were recently reintroduced to the Back Table of Table Mountain, but sightings and particularly photographs are still rare. 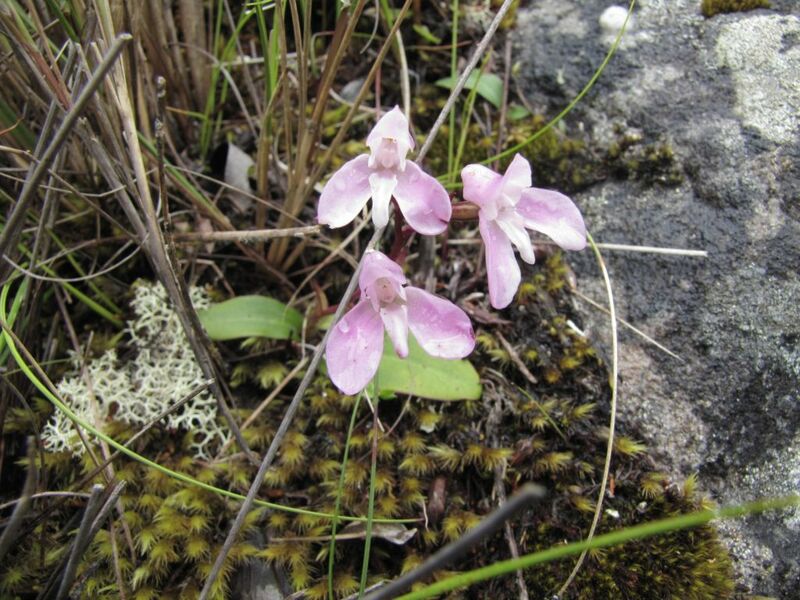 The next day on the same walk, a photo of the Disa Rosea near Echo Valley and the Cape Crag Lizard at Maclears Beacon. 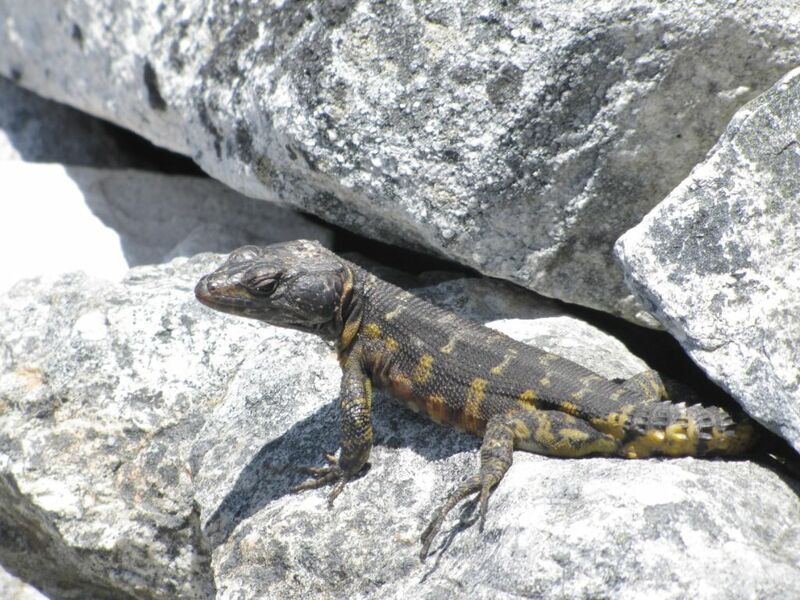 He stayed in one place for quite a while to have his photo taken.